“One of our nicknames is floorwalker because that’s what we do we walk the floors of the prison. Cell to cell, unit to unit, tier to tier, however you wanna explain what the living quarters are like,” says Wrenn. She’s currently a correctional officer at the Men’s State Prison in Concord, a job she’s had for 17 years. It’s also something she never expected she would do. As a single mom looking for work, she saw an ad for officers in the paper. The job offered a salary, full medical coverage, and retirement with pension after 20 years. Something that ad didn’t include was all of the forced overtime that comes with the job. She’s come to expect to be forced to work overtime at least once a week. But she never knows when it’s coming. Last September, she was asked by a supervisor to work an overtime shift. And for the first time in 17 years, she refused. Wrenn, who’s never had a single disciplinary issue at work before, received a letter of warning from the prison’s administration. In our fourth and final installment of our series on the state’s prison system, we’re answering an anonymous listener question. They wanted to know: how many corrections officers, or COs, work in the Men’s prison, and how many per shift? The Men’s Prison in Concord has been short staffed for years and that was never clearer than a 2012 audit by the State’s Office of Legislative Budget Assistant. That’s where numbers were outlined for exactly how many security staff, officers like Annie Wrenn, are needed to operate the prison. The audit found that for a prison that houses almost 1,400 men, the facility needs 371 officers to operate normally. It takes 277 officers to maintain critical operations. According to the latest Department of Correction’s numbers, there are currently 187 officers working in the prison, almost 100 fewer than the bare minimum required to operate. The Department’s Commissioner Helen Hanks says on average, for first shift in the prison, where there’s the most movement inside, there are just 67 officers working. For third shift, there are just 37 officers supervising close to 1,400 men. The backlash of such a staffing shortage is that officers like Annie Wrenn can be forced to work overtime almost every day that they come into work. Wrenn says these staffing issues weren’t nearly as bad 10 years ago. So, what happened? What effect does all that overtime have on officers? Who else is the staffing shortage affecting? And what’s being done to address all this today? On the DOC’s website, you’ll find a video series promoting corrections as a career choice. This is part of a $325,000 marketing campaign, which also includes signing bonuses and streamlined training. Corrections officers also won a 9.1 % salary bump increasing starting pay from around $37,000/year, to approximately $40,000/year. Frank Logan, an officer at the Men’s Prison in Concord, and Union Steward, says the pay raise was a long time coming. “The pay raise that they gave us has paid dividends in getting more people applying than before the pay raise was in place,” Logan says. Logan’s about six feet tall, broad shouldered, and when we speak, his left hand is broken after an incident at work when he tried to stop a prisoner from injuring himself. According to the department’s leadership, help is on the way. The state’s Corrections Academy, which is where all state law enforcement train, has 27 recruits in its current class. That’s the second largest class in the past five years. But it turns out that a lot of this staffing problem didn’t start within the department, but with the legislature. For years, one of the Governor’s easiest line cuts at budget time has been corrections, from the loss of over 70 jobs under one-term Governor Craig Benson in 2003, to staffing issues being ignored by then-Governor Hassan and a dragged-out, very public fight for a pay raise under Governor Sununu. And those cuts end up affecting working conditions. Every time DOC’s budget was cut, or ignored, it wasn’t because there were fewer people incarcerated in the state’s prison system. It was actually the opposite. Those numbers were still climbing. 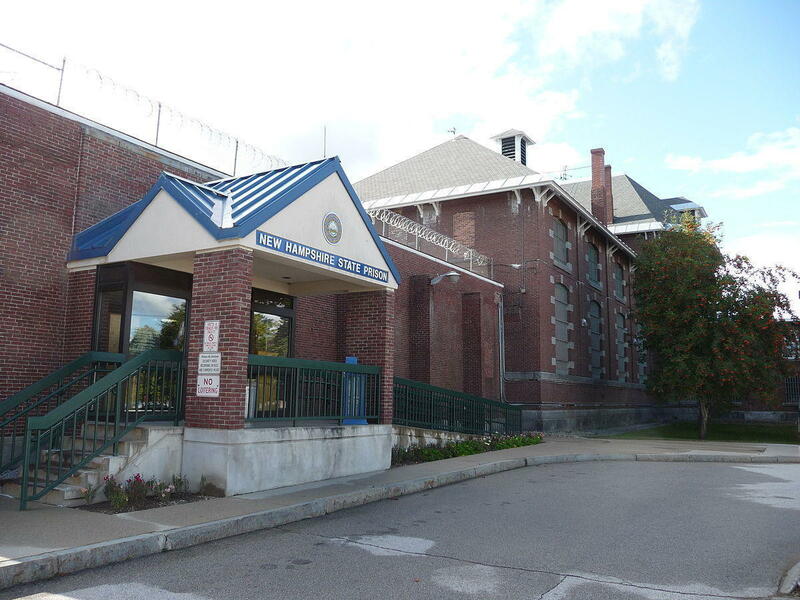 In 2009, the Lakes Region prison closed due to budget constraints. 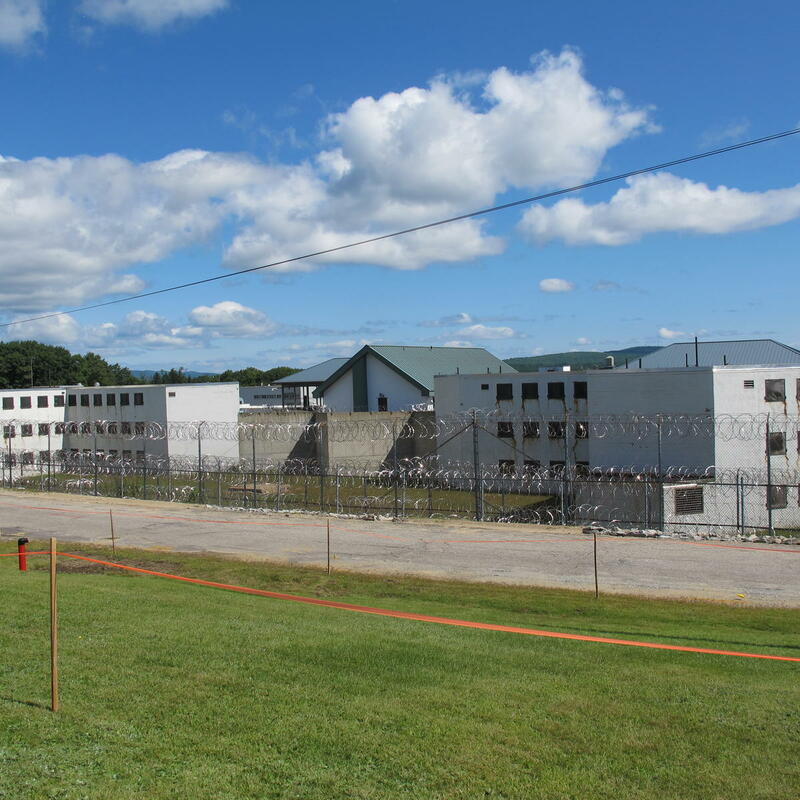 Staff was let go – some were retained, and after a while, most were – but some of the men incarcerated there were transferred to Concord, a facility that was already overcrowded. The new state women's prison in Concord. 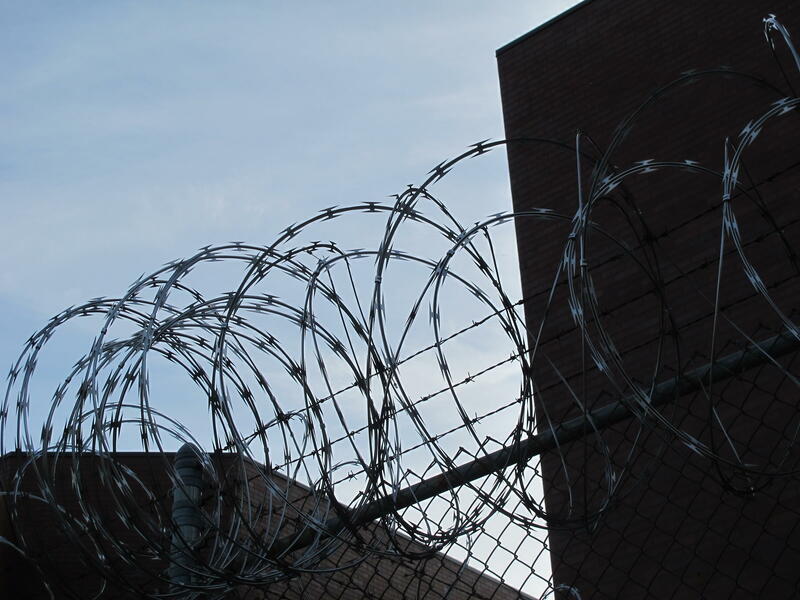 Three years later, a class action lawsuit was filed on behalf of women incarcerated at the Goffstown prison. That lawsuit would close the facility altogether and lead to the opening of a $50 million dollar women’s prison in Concord. But the opening of the new facility was delayed, partly because the legislature didn’t fund all the positions needed. Plus, in a state with such low unemployment numbers, the market for skilled workers is tight. The results are corrections officers running on fumes and an expected overtime budget of $12.5 million. The irony here is that by not funding necessary positions at the prisons, or a campaign to entice candidates, it’s the state that still ultimately pays up. During last year’s summer months, that could have meant some officers were working up to or more than 80 hours a week–overtime for every shift worked. Both the department’s administration, and the officer’s union, said that new recruits are told multiple times throughout the hiring process that overtime is unavoidable, so get ready. The department says that only half of this year’s 27 recruits are expected to still be on the job after their first year. If the trend of officers leaving continues, they’ll see a feedback loop: fewer officers equal more overtime, and more burnout among staff. Studies of corrections officers’ mental health have found symptoms for PTSD in a third of officers. Another third of officers show signs of serious depression, and almost quarter of officers experience both, together. 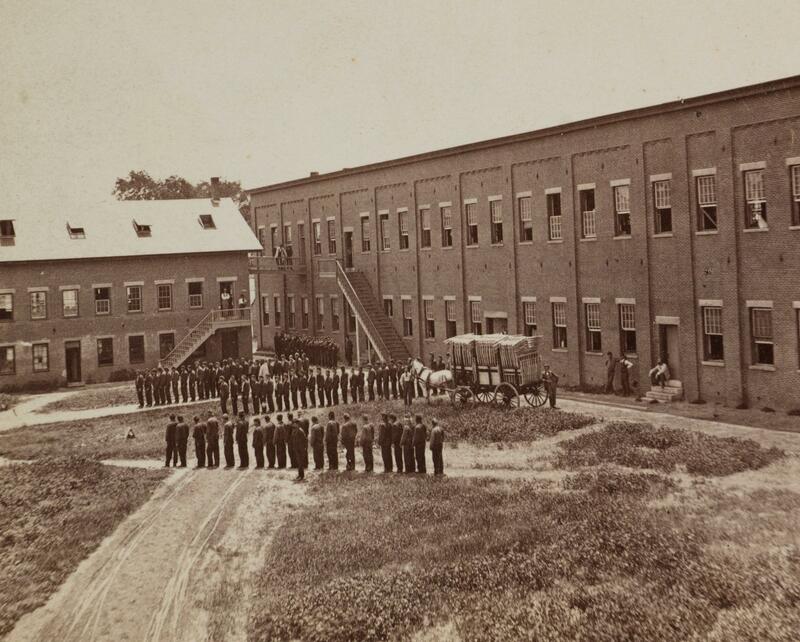 The state prison in Concord, N.H., in this early undated photograph courtesy of the New Hampshire Historical Society, shows inmates and correctional officers. Dr. Spinaris provides trainings specifically tailored for corrections officers. Her organization Desert Waters has worked with California, Florida, and Illinois’ Department of Corrections, just to name a few clients. Dr. Spinaris has coined a term for this phenomenon: Corrections Fatigue. While officers at the Men’s prison in Concord have insurance and access to therapists, and other mental health providers, a lot of staff had trouble relating to people who haven’t done the job. Instead, they’ve set up an informal, underground network of support. Frank Logan says he takes calls just about every day from co-workers who need to vent. Same goes for Annie Wrenn. She says a lot of the calls she gets aren’t for issues within the prison, but life outside of it. Dr. Spinaris calls the families and loved ones of corrections officers “silent victims.” Those are the people on the receiving end of all the forced overtimes, the traumatic workplace, and the untreated mental health issues. Frank Logan says he takes on so much overtime voluntarily because he doesn’t have anyone waiting for him at home. He’s been divorced twice. The last one he attributes to the job and the overtimes, all of which corroded the relationship. Corrections officers have one of the highest rates of divorce of any profession. And according to the National Institute of Corrections, they also have one of the starkest mortality rates, dying on average 12 years earlier than the rest of the general population. And then there are things that can’t be measured, like missing moments that make life worth living. "Because we're so short-handed we run them through the chow hall." - Officer Frank Logan. Recently, an unnamed officer pitched the department’s administration for a program like Desert Waters; tailored to help officers in distress. The request was denied. Administration pointed staff to the state’s Employee Assistance Program – a team of five employees, who are also available to counsel with every state of New Hampshire employee. Dr. Spinaris says by not addressing mental health issues, prisons create an environment where bullying and other forms of harassment can take hold. She also sees a culture of what she calls “distorted masculinity,” which makes it that much harder for people to open up and root out the issues they’re dealing with. For this story, I talked with almost a dozen current and former corrections officers – all from either the Men’s or Women’s prison. They told me about the marital issues the forced overtime has caused. They said it’s impossible to make time to stay healthy outside of work. And they also told me that this problem doesn’t just hurt them. It creates additional trauma for incarcerated men and women. “[I’m] Evenor Pineda. I’ve been incarcerated for 14 years. 15 months to get out." Pineda and Hooper are part of the prison’s Resident Communication Committee. It’s a body that advocates for resident issues. They both say the prison’s lack of staffing has affected their time inside. That’s because when there aren’t enough officers to fill jobs at the prison, places and programs are closed or cancelled for residents, including educational classes and life classes that teach alternatives to violence. There’s also less time to release energy in positive ways. Staff is well aware of this. They’re aware of the loss of programs. They’re aware they have to cut corners to get through the day, and that all this comes at the expense of the men incarcerated. He says that a lot of guys stand while eating as officers are pushing the next group into the cafeteria. The staff shortage isn’t just affecting residents on a daily basis, but also their families. Logan says that there have been several occasions where they’ve cancelled visitations. A few times they’ve even cancelled Christmas parties because of a lack of staff. Pineda has never had a visit cancelled but knows of plenty of guys who have. The Warden of the Men’s Prison, Michelle Edmark, says she only has to cancel visits a few times each year and always offers to make those days up. There’s also the issue of working staff up to 80 hours a week, on their feet, adrenaline rushing, and asking them to be at their peak and keep residents safe. Both Pineda and Hooper, 47, have noticed staff unable to perform basic job duties. They say they’ve seen staff lethargic, irritable, and they’ve even found officers asleep on the job. “I think we’re in a unique position given some of the volunteer positions we work and we’ll catch them at the end of third shift, beginning of first shift, and we’ll catch them sleeping in the bubble,” says Pineda, referring to the enclosed control room. An officer at the prison also confirmed the story of staff falling asleep if they have a few minutes uninterrupted because they’re so sleep deprived. There was also a story of an officer admitted to antagonizing residents, goading them into fights, just to get that adrenaline release. Department of Corrections says they don’t track the correlation between overtime hours and officer involved incidents, because the number of those incidents is insignificant. Warden Edmark said bad things do happen, just not on an everyday basis. 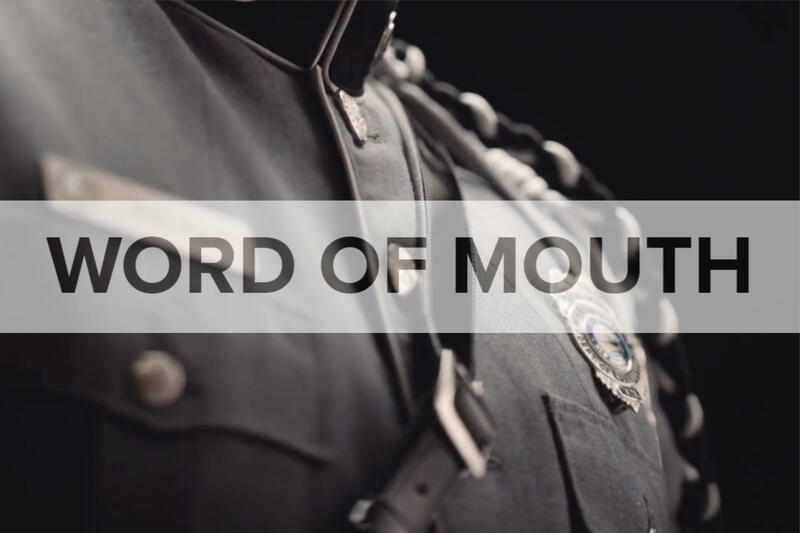 When it comes to getting resources to correctional officers, whether for better mental health care, more funding for staff, or money for an marketing campaign, there’s one constant issue, from the legislature to the public: this job has an image problem. Evenor Pineda calls it PMS. “Prison Movie Syndrome,” he says. “A lot of folks they just fall into the traps thinking of what they see in the movies, in the news, on TV, that that’s reality. They got all of these max security prisons, like the worst of the worst, and they don’t understand this is a C-3 facility" (or, medium security). Both Pineda and Hooper said in their 14 years at Concord, officers have been a part of some of their biggest moments. Hooper struggled through his first parole hearing and afterwards it was staff that helped calm him down, something he says he’s never forgotten. Pineda, who got his high school diploma while incarcerated, said a staff member surprised him with a hug after his graduation. Besides the closure of programs and visitation with a loss of staff, there’s also a loss of familiarity. When Pineda was admitted his kids were three and one-year old. Today, his son is 17 and his daughter is turning 16. Many corrections officers I talked to felt like there was a lack of support because they’re not viewed as “real” law enforcement officers. And according to a Gallup poll last year, law enforcement is one of the country’s most trusted institutions. And in a state that’s almost 94 % white, where law enforcement receives statewide praise, why too don’t correctional officers? “I don’t feel less than, and I don’t feel more than. It’s just different,” says Wrenn. Warden Michelle Edmark told me that some kids grow up wanting to become police officers, but no one wants to work in corrections. To reveal a bit of the reporting process, the Department of Corrections and their administration was incredibly difficult to get in touch with. No one would agree to a recorded interview – but theirs is an important perspective, since they’re the ones dealing with this issue on an everyday basis. The department also wouldn’t put me in touch with any of the officers from the prison, the people struggling through the staffing shortage. From my initial email to the DOC until I had my first sit-down with any staff, three months passed. Local newsrooms and journalists rarely have this kind of time to report on an issue, so they’re generally not reported on at all. In fairness, I don’t think this was an attempt to cover up staffing issues. That’s public knowledge. I think it had to do with something else. When I talked with Commissioner Helen Hanks and other DOC administration, they were afraid of another kind of feedback loop, one where critical reporting stops people from applying or staying on the job, and this staffing problem never goes away. Officer Frank Logan really believes the administration supports staff. But he says they also have to appease the legislature. The legislature is betting on the pay raise and the marketing campaign, which seem to be paying off in the short term. Maybe over time, that money will also include better mental health options and more training opportunities for officers. The legislature could also re-imagine incarceration, specifically a lot less of it. While the state’s prison population has slowly declined over the past few years, it’s happening after an explosion in the number of people incarcerated which has been booming since the late 80s. Even now, I heard stories of overcrowding, men with no space of their own, sleeping on bunks in common areas. I heard about the Hancock building within the prison, where eight officers oversee more than 500 men. Frank Logan told me about the time he oversaw 192 prisoners, with one other officer. This isn’t just a New Hampshire story. Not in the age of mass incarceration. Two years ago, West Virginia had to call in their National Guard to secure state prisons during a staff shortage. Last year’s prison riot in South Carolina that left seven men dead, and jump started a national prison strike, was in part attributed to a severe lack of staffing. In New Hampshire, some county jails are also struggling to hire and retain staff. In the men’s prison, they’ve even enlisted Probation and Parole officers to pick up shifts to fill the staffing cracks. There’s really no timeline for when things will get better - for officers or people incarcerated. Officers hope that the more people talking about this issue will lead to change, more recognition of the challenges, and less stigma around prisons. But for now, Officer Annie Wrenn will continue to come in and walk the floors of the men’s prison in Concord. She’ll break up fights. She’ll counsel staff. And she’ll do it all short-staffed and overworked.